Lastly, guys, I'd like to show you how to use cranberries in your holiday decor as a filler - simply as a good pop of color, as an interesting thing to look at. Maybe a conversation piece for your guests, maybe not, but it will sure look beautiful! And who doesn't want beautiful in their home? Who doesn't want festive? Festive doesn't need to be splashy and tasteless, festive can be subdued. Which it is here. But it's still festive. It's pretty, original - something that's from nature, and it ties in so well with the rest of the holiday decor. 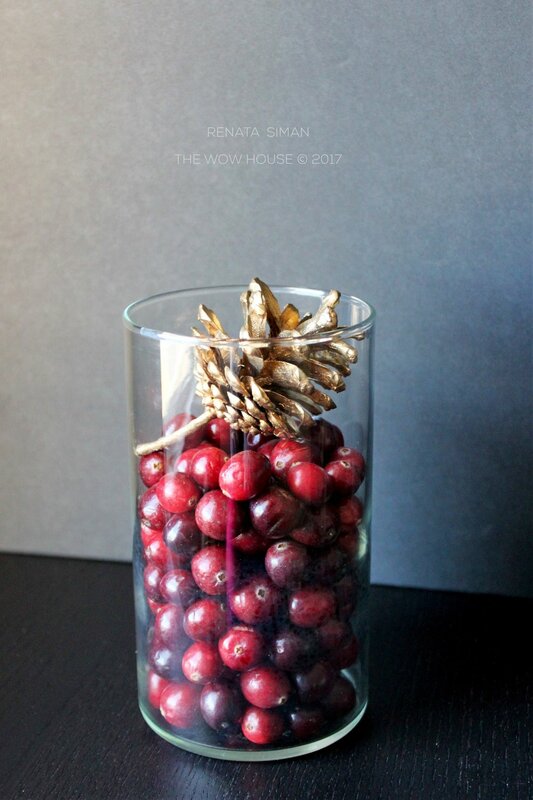 Basic cylinder-shaped vase and cranberries. Put a freshly clipped evergreen branch from outside and up this goes on your mantel, open shelf, or as a table centerpiece. For the dining room table I would definitely do a few not one for more impact. Cake stand + bowl upside down. 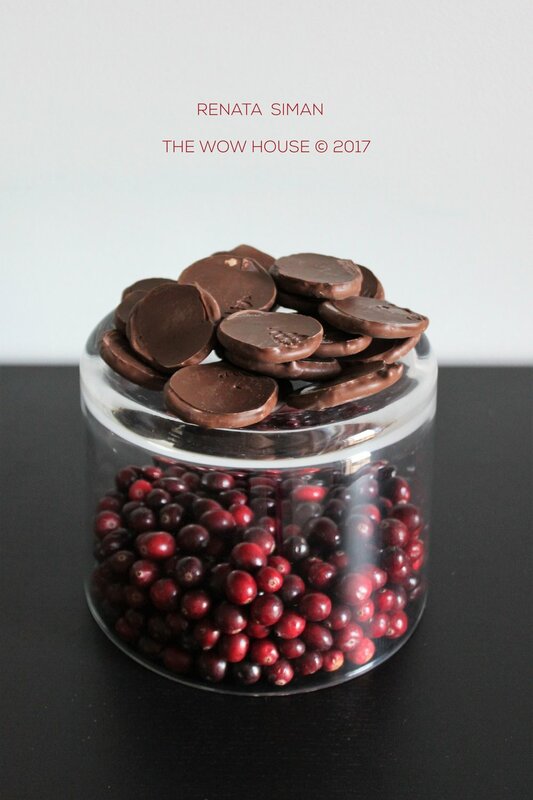 Cranberries inside, chocolates on top. Improvise as much as you can and you will hands-down WOW your guests with a nice display and a pretty neat presentation on your desert table. Sweet! These chocolates are calling my name! ... Got to go.